Apple's annual launch day came and went on September 12 and the Cupertino company ritually unveiled bigger and speedier phones - iPhone XS, XS Max and a slightly toned down and less expensive iPhone XR. But it was the juiced-up Apple Watch Series 4 that stole the show. 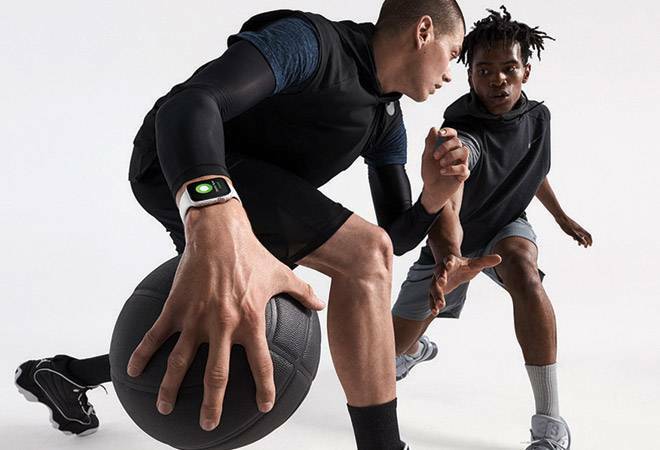 Even those who complained about the incremental improvement of iPhones could not help applauding the vastly improved Series 4 as it has crossed the domain of fitness wearables and leapfrogged into the holistic realm of health monitoring. The fourth generation Apple Watch is sleeker than its predecessor, has a larger display (40 mm and 44 mm cases), and packs a whole bunch of heart health features, including its ability to perform an electrocardiogram (ECG) and detect atrial fibrillation or Afib, a heart rhythm disorder that can be fatal. However, both features will be available on the device later this year (not at launch). Add to that an accelerometer and gyroscope, which can detect hard falls and prompt notification, ease of use and double the speed due to its new S4 chip, and you get to experience the kind of innovation for which Apple has been lauded all these years. Instant ECG: Since their debut in 2015, Apple watches had optical heart rate sensors that calculated the calories burnt during workouts but later on started monitoring resting and high heart rates. It worked well and we often heard how these smartwatches alerted users about dangerously high heart rates and helped save their lives. But with the new Series 4, Apple is taking things to the next level. The new wearable will be capable of getting an ECG done, similar to a medical-grade single-lead electrocardiogram. All you have to do is turn on the ECG app and hold your finger on the Digital Crown, and in 30 seconds, the recording will be completed. Our heartbeats send out electrical impulses and the titanium electrode in the Digital Crown can read them in the fingertip while the back crystal has an ultra-thin chromium-silicon-carbon-nitride layer that reads the electrical impulses in the wrist. With the help of the ECG app, these two will read and record the data, and notify users about their heart rhythms. Moreover, all ECG recordings, their classifications and any note regarding the symptoms will be stored in the app as PDF files, which can be easily shared. Apple says the US Food and Drug Administration has cleared the ECG feature and the irregular heartbeat notification function, and the former has got a "de novo" classification. Incidentally, the Apple Watch is in Class II, a typically lower-risk product for which FDA only gives "clearance" and not "approval". Lower heart rate notification: Much like higher heart rates, lower heart rates could also be dangerous. The optical sensor will be able to detect it if the heart rate falls below a specified threshold for 10 minutes when the user appears to be inactive, and trigger a 'low heart rate' notification. According to Apple, it can be a symptom of bradycardia, or abnormally slow heart function, which can be serious if the heart is not pumping enough oxygen-rich blood. Fall detection: A fall detection system that identifies the mishap and notifies emergency contacts is not a new concept per se. But its integration with the Series 4 makes these smartwatches health-focussed wearables. Apple has added a new accelerometer and gyroscope that can differentiate between a trip, slip and fall. When an incident occurs, the new watches can detect a hard fall and send an alert to initiate an emergency call. If one continues to be unresponsive after 60 seconds, an emergency call will be placed automatically and the location will be shared with the emergency contacts. Focus on well-being: Series 4 watches also help users stay fit, as per the original doctrine of the wearables. So, one will find an automatic workout detection that sends an alert to start a workout and gives retroactive credit. Besides tracking various indoor and outdoor forms of workout, the Apple Watch can also monitor the actual calories burned and the exercise minutes earned during yoga and hiking. And finally, there is also the Breathe app that will guide you through a series of deep breaths.